At Riley & Jackson, P.C., we are known for our preparation, hard work, creativity, and trial experience, not for our advertisements. Most of our clients come to us by word of mouth from past clients and by recommendations from other attorneys. Our lawyers graduated from top law schools. Rob Riley received his law degree from Yale University, where he was senior editor of the Yale Law Journal. After receiving his J.D., Rob received a Rotary scholarship to attend the University of Cambridge, where he received a Master of Law in International Law in 1992. Rob is the son of former Congressman and Alabama governor Bob Riley, and Rob helped manage his father’s successful campaigns. Keith Jackson received his law degree from Emory University School of Law, where he was selected to Emory’s National Moot Court Team, which placed in the top four in the New York Bar Association’s national moot court competition. Based on achievements during law school, Keith was tapped by Emory’s faculty for inclusion in the Order of Barristers and membership in the Lamar Inn of Court. Keith was named to Birmingham Magazine’s Best Lawyers listing. Kallie Lunsford graduated from the University of Alabama School of Law in 1996, where she was the lead articles editor of the Alabama Law Review. Mrs. Lunsford practices in a variety of areas, including securities litigation, civil litigation, residential and commercial construction disputes, and cases involving fraud. Jay Murrill is a 2002 graduate of Cumberland Law School and came to Riley & Jackson after gaining significant experience with banking litigation. His practice focuses primarily upon employment litigation, representation of governmental entities, and civil litigation. Jeremiah Mosley graduated from the University of Michigan Law School in 2010, where he served in various student organizations, including as an officer in the Federalist Society. Prior to joining Riley & Jackson, Mr. Mosley clerked for the Chief Justice of the Florida Supreme Court. His practice includes general civil litigation, including personal injury, products liability, and premises liability cases. To learn more about our lawyers and their backgrounds, click on the following links. For more information or to schedule a free initial consultation with our Alabama personal injury attorneys, please call 205-879-5000 or send us an e-mail via this website. 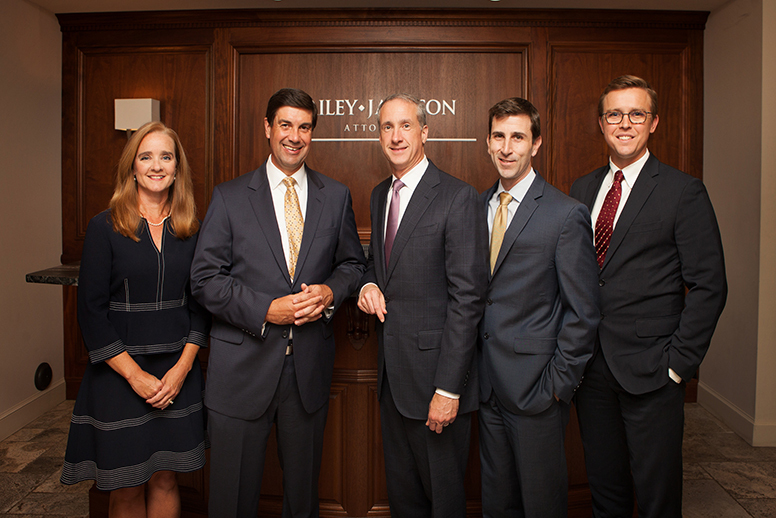 From our law office in Birmingham, we represent individuals and businesses throughout the country.